The home dugout at Boshamer Stadium is set to undergo the biggest facelift it’s had since 2008. 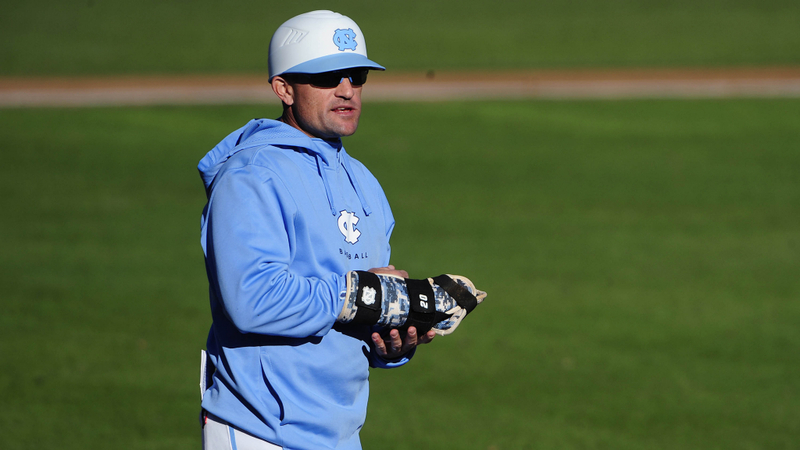 For nearly a decade, the Diamond Heels’ coaching staff led by Mike Fox, Scott Jackson and Scott Forbes has been a constant while the UNC baseball program reached heights it had never previously seen. Now, after the Tar Heels have missed out on two consecutive NCAA Tournaments, a new era is set to begin–as Liberty University reached an agreement this past weekend to hire Jackson as its new head coach. After helping the Tar Heels reach six NCAA Tournaments and three College World Series appearances, Jackson was recognized by Baseball America as one of the nation’s top assistants prior to the 2013 season in which UNC won a school-record 59 games. Jackson also had the duty of being the recruiting coordinator on Fox’s staff–helping to bring in future major league talent like Kyle Seager (Seattle Mariners) and Colin Moran (Houston Astros). “I am thrilled for Scott to take this next step in his coaching career,” Fox said, in a statement released by UNC. “He is a tireless worker who will do a fantastic job at Liberty. He has helped lift our program to another level since joining the staff in 2008, and we will miss him in Chapel Hill. The news comes after Liberty’s former head coach, Jim Toman, stepped down after his ninth season at the helm. One year prior to joining the staff at UNC, Jackson was the pitching coach under Toman at Liberty. He has also had coaching stints at his alma mater, Campbell, as well as UNC-Wilmington, Wofford and Barton.